Ahhhh…. This woman excites the hell out of me. Whip smart , funny and a devoted yoga student of life. Her physical practice is a musical song and she’s got teaching chops to boot. Lucky, lucky me that Lesley is assisting the Goddesses next year in Baja. Tarot reflects the inner experience; the cards can draw out one's attitudes, thoughts + beliefs, and emotions of a particular situation. If there is conflict or confusion, it begins within; if there is peace and understanding, it begins within. Tarot is a mirror to see all of the psychological and emotional threads entangled around a situation. The symbols of the tarot allow our conscious and unconscious mind to realign as we sort, edit, and organize these threads; we weave them back together in an empowering narrative that allows for the fullness of your complexity; we reauthor our present, reclaiming our perspective, aligning with the future we desire. “Solstice “ …when the Sun stands Still. Let the sun shine long on June 16th . Join industry healing + yoga experts Maricarmen Wilson and Desiree Gutierrez at the exclusive Pershing club for a catered day retreat gathering all women creatives in a most beautiful Austin setting for a personal deep dive . Our experiential workshops will take you on an inward-outward journey with customized lessons and lectures tapping into the pure power of seasonal nutrition and intentional living. 10:30-1:30 June 16th , Pershing 2415 E. 5th Street, Austin. Limited Space to 25 ladies ONLY. $125.00 includes : Laughing, loving + learning from with like minded genius women, all workshops and materials, catered lunch by P + a special gift for each participant. About Maricarmen :E-RYT 500 , YACEP, Creative Alchemist , Feminine Fire Starter and Yoga Lifestyle Guide ..has been practicing and teaching YOGA for over 25 years. She splits her time leading retreats and workshops in Austin, Latin America and Québec. 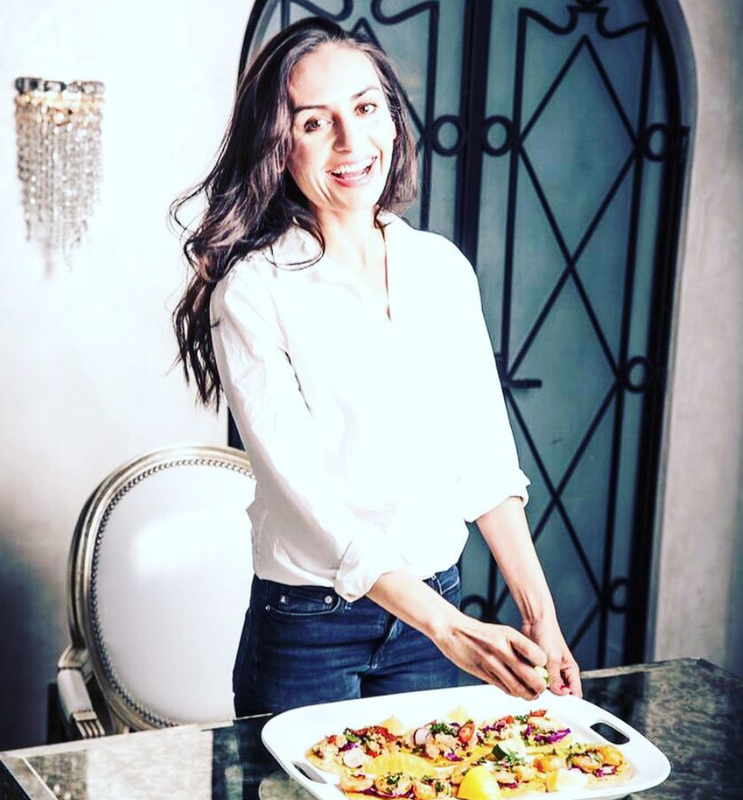 About Desiree : Desiree Gutierrez, the founder of Health ReMynted and Heal+Thy Woman Project, is a passionate holistic nutrition & wellness expert with an art in creating delicious, functional & healing recipes. So many Summer musings and Fall happenings to share in the next full Inspired Shakti newsletter..but first, This. Rebecca Brumberg of Castle Hill's business and marketing department tracked me down last week for some good 'ol blog post Q&A . Here's the unedited version of our e-conversion, straight up! You can also check it out at CH's website! Why should we create a Vision Board? What are the benefits? There is a reason why vision boarding has been used for decades by highly respected business and life coaches. Simply stated, THEY WORK. Think of it as your intuition’s edit. The body you live in, the brain you think with, and the heart that beats your life’s feelings, they are all communicating with each other . Now and every second. Vision boarding taps into that direct line of communication where inspiration lives. It’s real, raw, tactile and pure FLOW. The process employs critical mind mapping elements that pull us out of linear thinking into circular creating. So you’re hosting a Vision Board workshop in September. What can we expect? This workshop is a new offering in that vision boarding , along with other creative exercises, is a component to developing an individual Fall Ritual so that the two work in tandem with each other for the season leading up to 2018. Rituals are as real as our other basic human needs, however their urgency draws from our desire to connect with something great and divine. They underline the importance of living and owning your present- moment awareness. The session begins with a group intention and guided mediation , then diving in immediately to the hands on crafting of the vision board and personalized Fall ritual. Our workshops are mini-retreats and female bonding collectives. Delights , delicious treats and presents await .You only need to show up with an open mind ready to be challenged and playful heart ready to laugh. You’ll learn quickly, once is not enough! How long have you been creating Vision Boards? Looking back , it’s been a part of my creative process since childhood. It could become rather large, basically turning a whole wall unit into a version of a dream board! Each time, with each effort, without fail, new space is made for my spirit to lead me to EXACTLY to right place I need to be for expansion, exploration, discovery and manifestation. I’m looking forward to on bringing this to teens and kids as part of mindfulness practices and confidence building. But first, WOMEN ;) , of course. How often should one try to make a make vision board? Personally, I love the practice of seasonal vision boarding to align with the significant cycles of nature, but New Year/ Summer boards are an excellent start. It’s a conscious endeavor. A time commitment to the board is needed to be able to note the qualitative and quantitative changes that are manifested with the exercise. At least 3 -6 moths should be marked. At my home there are two boards alive and awake in my workspace at all times. My seasonal inspiration that is set with a clear and articulated intention , and one that is constantly changing in the form of an old fashioned peg board with pushpins. The former is what I refer to as a “SANKALPA”, or "rule to be followed above all other rules” , the later incarnation allows freedom and daily spontaneity , room for “WOW” and “A-Ha’s” to shine immediately. Paper to Pen is also very valuable ..vision boards are not limited to the visual arts and posting journal entries is encouraged. Bottom line is they’re exciting as hell and you just can’t get them wrong. I have that jacket. The one one the right. A Zara reversible satin bomber. Also a version of the one on the left. They're worn with flair and gusto on a regular basis. I'm also HER..the one on the right, the one on the left. Embracing and being embraced by women of all ages. Relationships that span generations are missing from our culture and society and we are all greatly missing out. Every woman has a story of breadth and depth. A tapestry of experience that bears equal weight from the newly minted to those rich with the sheen of a patina. Looking for something different and a bit more Darling? ( link will lead you to a landing page of brilliance and the the spark for your March IS newsletter) This publication is worth every penny . More like a quarterly keeper. Printed to order. Creative , inclusive and individual. Not a single woman is retouched. And how can you not support a magazine whose mission statement is this amazing? Thelma: Hey Louise, better slow down, I'll just die if we get caught over a speeding ticket. Are you sure we should be driving like this, I mean in broad daylight and everything? Louise: No we shouldn't, but I want to put some distance between us and the SCENE OF OUR LAST GOD DAMNED CRIME! Thelma: Oh man! You wouldn'ta believed it, it was like I was doing it all my life, nobody woulda believed it. Louise: Think you found your calling? Thelma: The call of the wild! November found me mourning and unmoored ... This is not a political statement but one of personal accountability . The truth is, as a feminist / humanist/ active American , I had not been doing enough with the privilege of my citizenship. I thought I was. And it took a seismic shift to thrust me closer to my reflection in the mirror. Enter THELMA AND LOUISE ( Classic, iconic , and ever so relevant) . One thing we know with any real and true evolution is that you cannot skim the surface and dust your hands off. Any commitment/ practice of your heart , mind and guts requires sinking your teeth and making that dust on your hands real dirt. I called out , meditated, vision mapped , fasted, sent smoke signals, . And waited. And they came. I'm lucky to be surrounded by the most creative, dare devil, loving, supportive , entrepreneurial women . Some of them are my closest friends and fuel for my fire. Muses with a capital M . Katrina Perry of August Etta led me to the Cherry Babes -Taylor Livingston and Katie Caplener. Master Minds and Makers of the upcoming Cherry on Top : FEMALES -CREATIVES-EMPOWERMENT-RETREAT February 2-5 in Marfa, Texas. Drop what you're doing and grab your favorite partner in crime. Or take the solo leap under the expansive Texas sky and embrace new ones. The call of the WILD! " Come find me in the desert. Supernova! !…Tales from day 16 ….Brahma , Cosmos, and open minds. I had a profound experience. One that paralleled , if not surpassed, giving birth to my children. A "spirit moment" that stood between time and space. I can't tell you where I was or what I was doing. Those details have evaporated from my memory. Without question , every cell of my being understood , intimately, the connection I had to everything … " a resonance of all with all". This was not an understanding of my mind , or even of my heart. It went way beyond . A supernova is a stellar explosion that briefly outshines and entire galaxy, radiating as much energy as the sun is expected to emit over its entire life span, before fading from view over several weeks or months. The extremely luminous burst of radiation expels much or all of a star's material at a velocity of up to 30,000 km/s ( 10% of the speed of light), driving a shock wave into the surrounding interstellar medium. This shock wave sweeps up an expanding shell of gas and dust called a supernova remnant. A great proportion of primary cosmic rays comes from supernovae. "The Hindu religion is the only one of the world's great faiths dedicated to the idea that the Cosmos itself undergoes an immense, indeed an infinite, number of deaths and rebirths. It is the only religion in which the time scales correspond to those of modern scientific cosmology. Its cycles run from our ordinary day and night to a day and night of Brahma, 8.64 billion years long. Longer than the age of the Earth or the Sun and about half of the time since the Big Bang." ( I acknowledge that this means they have my search engine habits down !) . Sucker! copyright inspired shakti (tm) 2016. All rights reserved .